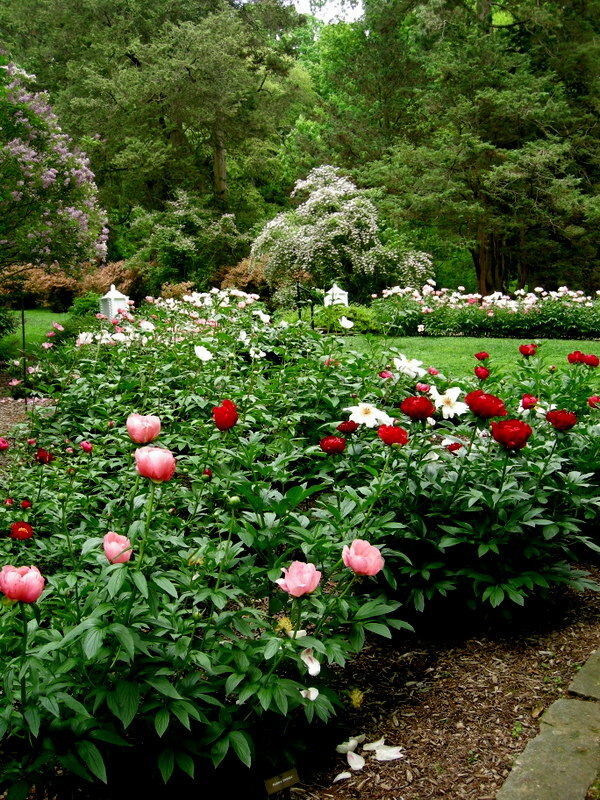 This entry was posted on August 9, 2013 at 12:38 pm and is filed under garden to visit with tags Carolyn's Shade Gardens, Henry Francis du Pont, herbaceous peonies, paeonia, peonies, peony, peony gardens, tree peonies, Winterthur, winterthur gardens. You can follow any responses to this entry through the RSS 2.0 feed. You can leave a response, or trackback from your own site. 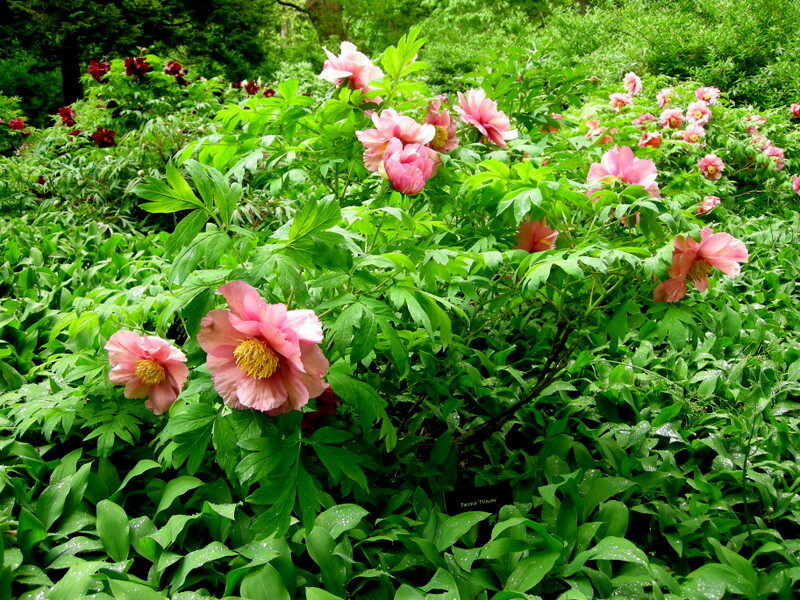 I loved the Peony garden as much as you did, wanting each and every one of them. This part of the garden was spectacular with all the colors of Spring. The visit was perfectly planned, but I would bet anytime of year is equally as lovely. Your series is showing that. Thank you for linking. The next time I go to Winterthur it will be late summer, and I am sure it will be delightful. I have never been there then. 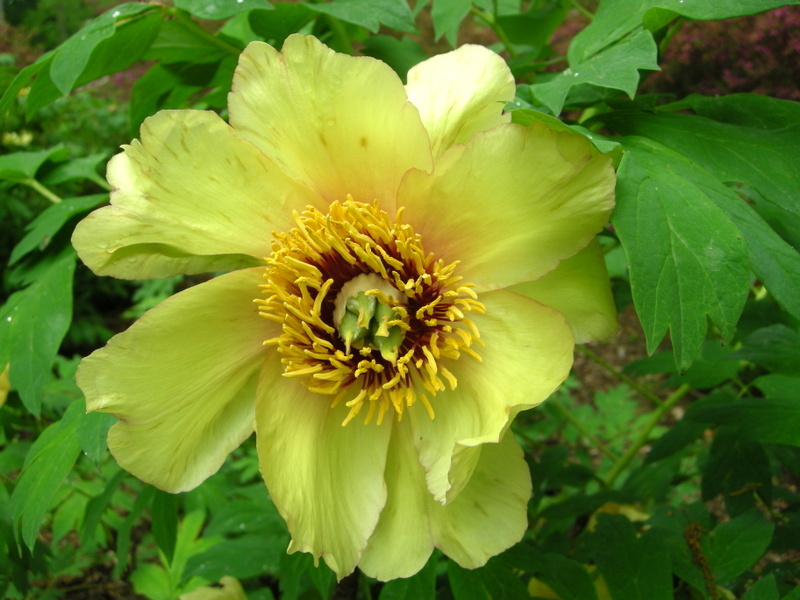 thanks for sharing your visit, we have a peonie farm near us and that is spectacular, I have posted about it in previous years but I do know what you mean about too much of a good thing where photos are concerned. I spend hours going through the photos for most of my posts. It’s especially bad if lots of them are similar and there are no clear winners. So wonderful to be able to visit a garden through the seasons to see the parade of blooms. I visited Longwood Gardens a few years ago and did not realize how close we were to other wonderful gardens. Since I may never have an opportunity to visit that area again I will enjoy the photos you post here. 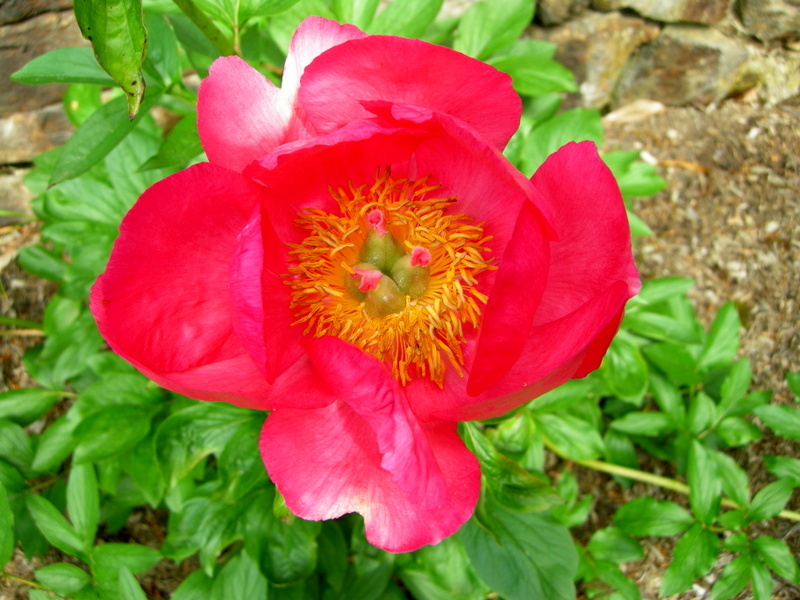 I love peonies and have added several to my garden, some were starts from my mother-in-laws garden. Glad you enjoyed the peonies. I hope you get to this area again. I tried to comment on your blog but kept getting an error message. Also if you don’t already know this, a lot of bloggers don’t comment on blogs with word verification. They are all very beautiful Carolyn. Do they tolerate shade? Or do they require full sun to flower like this? 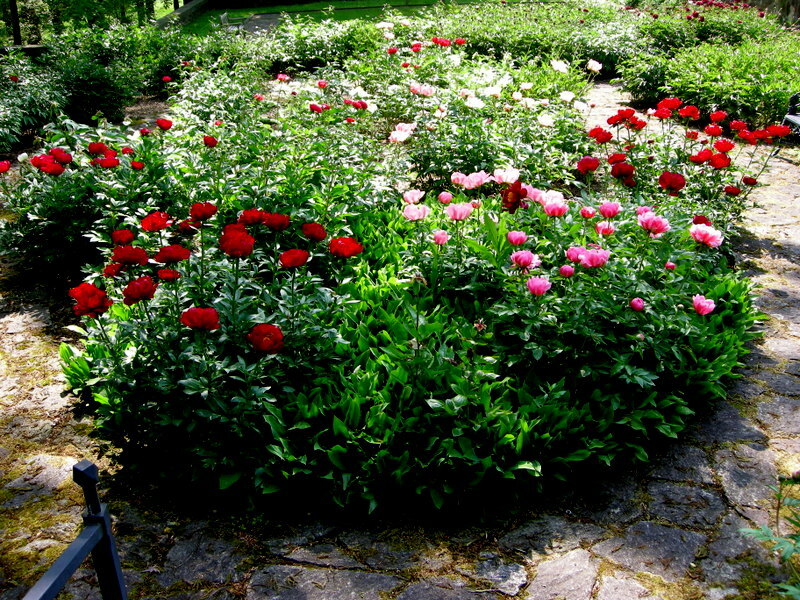 I love peonies and hope to add some new ones when I develop my front garden. Thanks for sharing these. 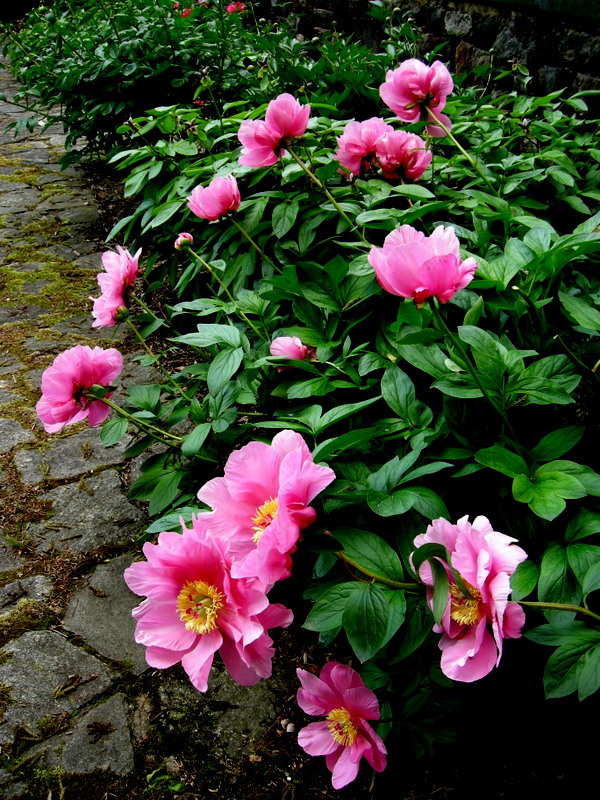 Your peonies photos are lovely! I am looking forward to seeing your pictures of the Quarry Garden. I have a large patch of red primula japonica, inspired by the Winterthur quarry garden I saw over 30 years ago, before the QG was hit by an unusually bad storm which caused a lot of damage. After quite a few years, Charles Cresson was appointed to restore it. A little rivulet of water trickled down the cut stone wall onto the stone quarry floor, spreading out into a wide, shallow brook where many primroses grew, along with ferny clumps in the shady places and many other wet-loving plants. It was one of the most magical spots I had ever seen. So I look forward with pleasure to seeing your images of the new quarry garden. 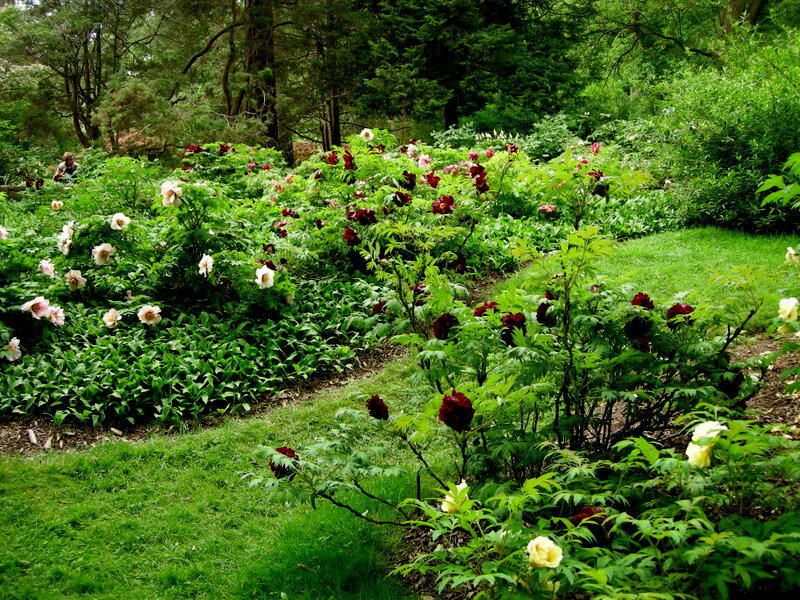 I visited Winterthur last year when the peonies were in full bloom. Unforgettable! I took one of my all-time favourite flower photos there — wish I could share it with you. The only problem about visiting Winterthur in the spring is having enough time to see everything. The garden is superb! Blogger must be down because comments won’t post. See my comment above about word verification. Shame these lovely plants only have numbers – they deserve more than that! Carolyn what a refreshing journey back to spring to see all these gorgeous peonies. I needed it. 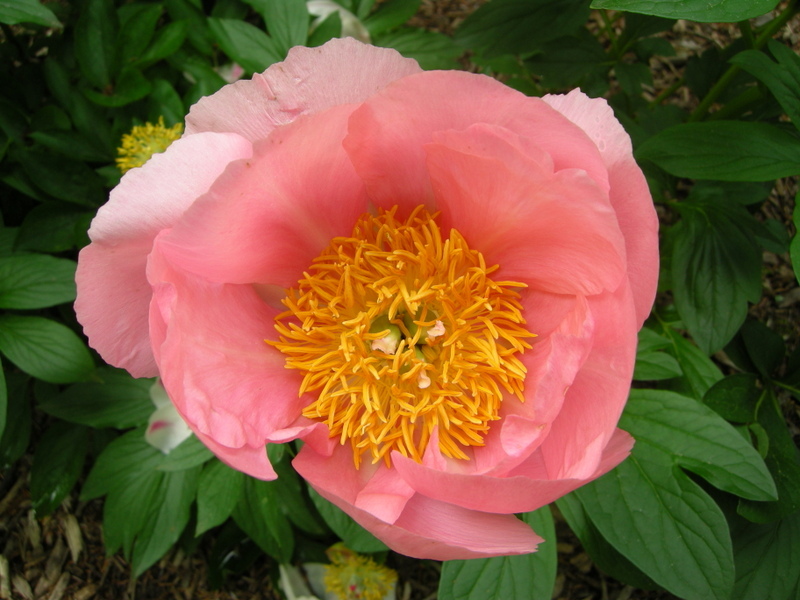 How refreshing to read/see a post about Peonies at this time of year. Time to think ahead to fall planting, I guess. Do you recommend planting them in September? 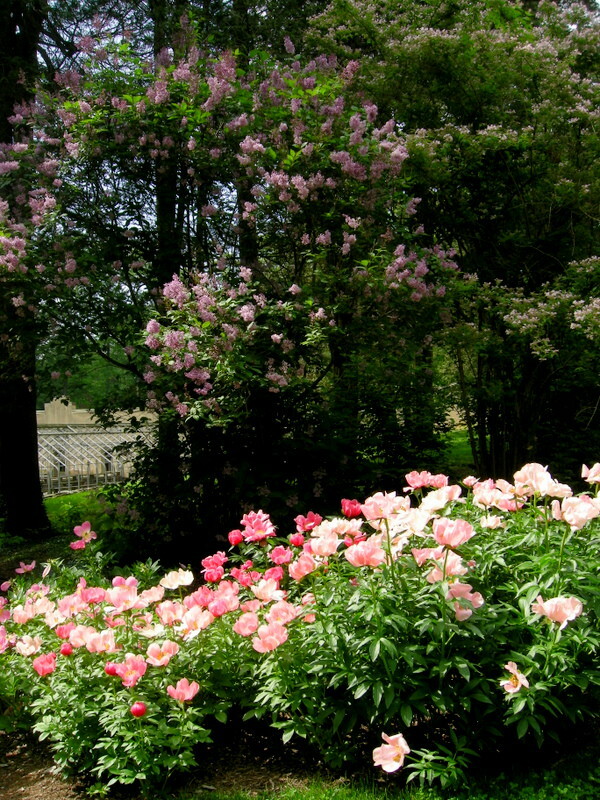 I really enjoyed your beautiful photos, as always–especially the shot of the Lilacs behind the Peonies. 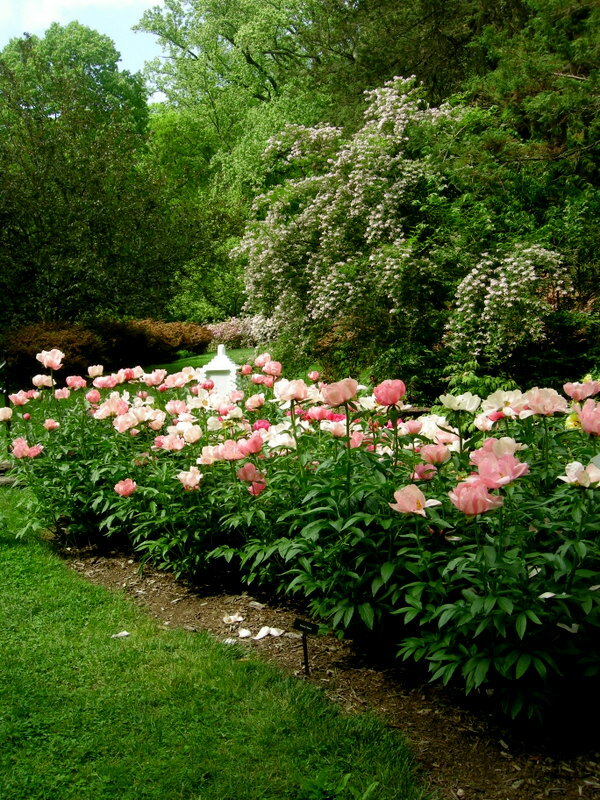 Hi Carolyn, I am loving those Peonies at Winterthur. The singles are beginning to catch my attention these days. 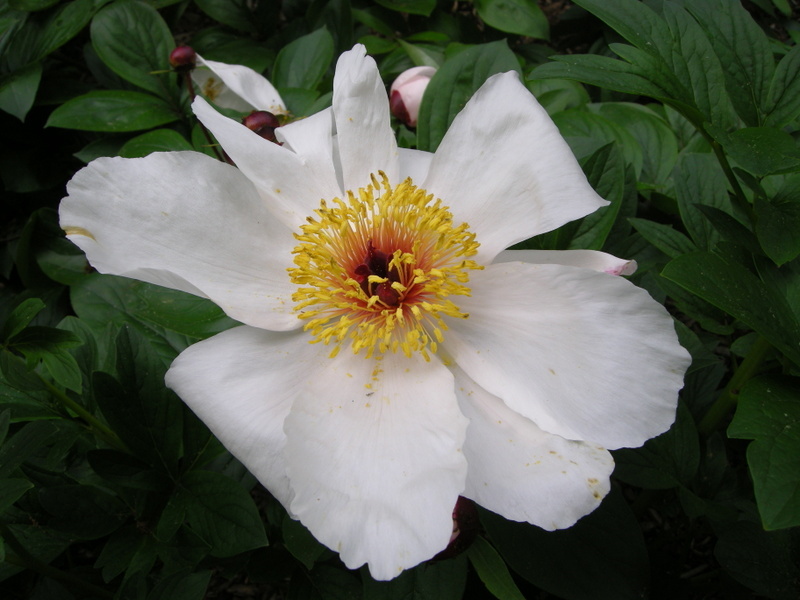 I always enjoy visiting your site to see all the beautiful garden, plant and flower pictures!!! 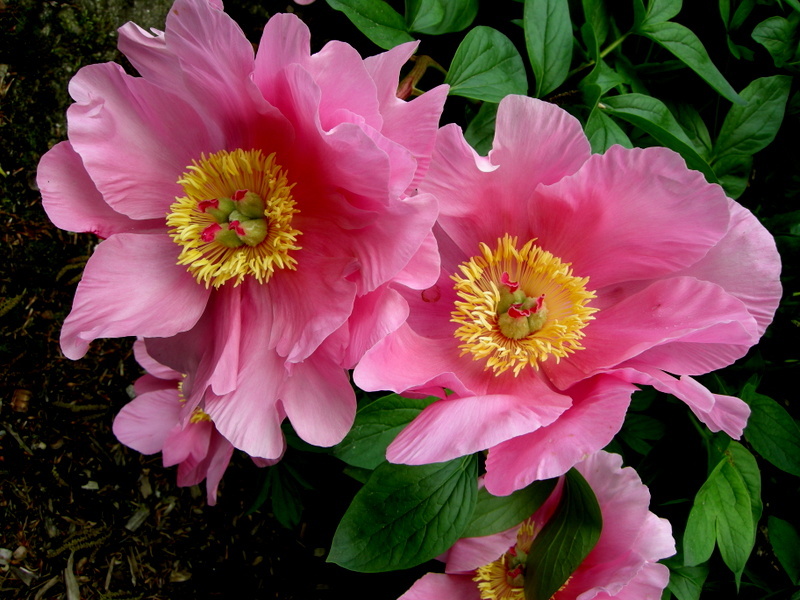 Peonies are one of my favorites, especially the double peonies. You might be interested in my handcrafted Garden Bluebird House Give-Away, free birdhouse! check it out. 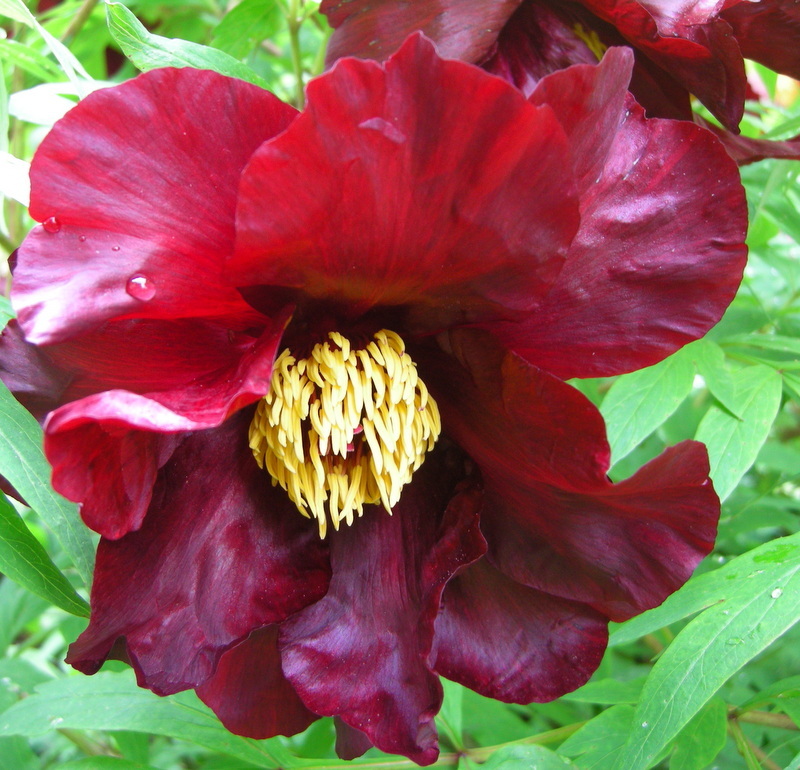 I am a single peony person but all of them are beautiful.